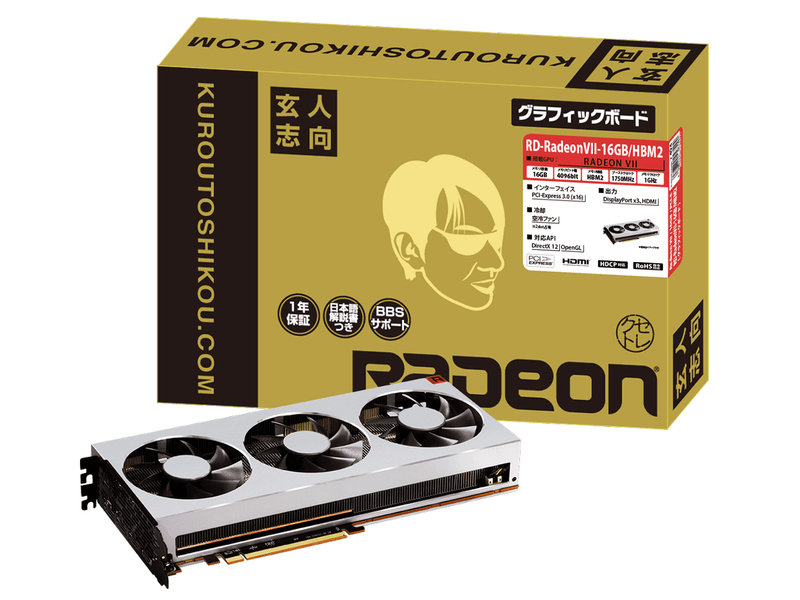 It's on sales (for ordering) in Japan at 85,000 JPY, that's around 1,000 AUD, and 10% cheaper than the cheapest RTX 2080 in Japan. I guess some people will be tempted. So I found something amusing to take away from all of this. Other than that I really wanted this card to be competitive and I would have preferred waiting another month for driver issues to be sorted than having to deal with the mess that it seems to be atm. Perhaps in the coming weeks once things get sorted I will give it another serious look but for now it isnt compelling enough to upgrade. It’s $998 Aud here in taiwan. $974 if I pay cash. This is to do with the Frostbite engine, AMD has always performed well with it. The unfortunate issue is that both Nvidia and AMD cards perform really well with Battlefield 5 and its really not that demanding on the GPU. This makes the extra performance the Radeon VII gets mostly pointless. The performance matters with Raytracing, which the Radeon VII can't do anyway. I don't think there is any point in discussing RTX in BF, it's extremely limited. Wait a week for Metro Exodus at least. Frostbite isn't demanding on the GPU? Hahahaha. I don't think Navi is going to be that different, from what I am seeing online it's still CGN with some further work to it, so think Polaris shrunk to 7nm with some optimisations, should be great low/mid range cards and hopefully priced well. AMD won't really have much to say until their next arch is put out, which looks to be 2020 or so, I think they were calling it Arcturus and this will be the first non GCN arch, so this should be the indicator of what they can do with the money they now have. Would love to see some video rendering and cg rendering benchmarks, thinking there probably isn't much point moving from the Titan at this point. Frostbite has been optimized for AMD due to the long-running deal AMD had with DICE. For example, AMD and EA DICE announced their Battlefield 3 partnership in 2013, and it's rumoured that AMD spent $8m on a BF4 optimization deal with DICE. The Frostbite Mantle aspect of the deal favoured AMD GPUs - by the way, Mantle is yet another great example of how a huge amount of hype can be inconsequential for any company. BF5 is formally an Nvidia sponsored game, but that doesn't negate the AMD-favored work that's gone into the frostbite engine for years. it does however create an uneven playing field for AMD GPUs, so it's not an indicator of general gaming performance either way. I wouldn't use frostbite as an indicator of anything other than frostbite performance, so it's only relevant if you play a lot of Battlefield. I wouldn't use frostbite as an indicator of anything other than frostbite performance, so it's only relevant if you play a lot of Battlefield. Are there many people playing a game that hasn't been released yet? we have concerns about system requirements. Achieving a locked 1080p60 on mainstream GPU champions like the Radeon RX 580 and GTX 1060 proved impossible - even with the game cut back to its lowest settings, where Anthem loses a lot of its visual appeal. The move up to medium doesn't show a lot of improvement, while dropping from ultra to high doesn't do much to help performance. Right now, there's the sense that it's ultra or bust - something we really hope to see addressed in the final game. So it's not really representative of the frostbite engine either it seems, other than running better on AMD GPUs. There were a lot of people playing the demo. Granted it's not a final build, or very well optimized. An Nvidia 1080 will get an average of 97fps at 1440p at ultra. Thats not demanding in my opinion, not compared to other games. There not point in boasting/complaining about "only 100fps". However once you turn raytracing on, it matters as the FPS drops. Its not even a discussion for the Radeon VII because it can't do raytracing. So it's an efficient/optimised engine. The initial point said "Even with raytracing off, the Radeon is competitive", which suggests a logic fail, because the RTX cards would smash it with raytracing on, (can you turn it on without an FP16/RTX module?). You're confusing the game with the engine. they should do an 8gb Radeon VII and knock $100 off, then it might be worth getting. Raytracing is not worth it right now. You’re buying for the future. Raytracing in BFV is limited to reflections. Wooooo amazing. Seriously discussing ray tracing is pointless when it’s currently useless. I think as well given the cost is taken up by the HBM. Less HBM less cost theoretically. Doesn't work that way, it was only released to use dud MI50 chips, changing the design from 16/32GB would require development time and cost which would be stupid. They are just selling what they have and that's it.